Special thanks to MLK Elementary School staff, families and students who took time on Monday, January 20th to participate in the Martin Luther King, Jr. School Challenge. 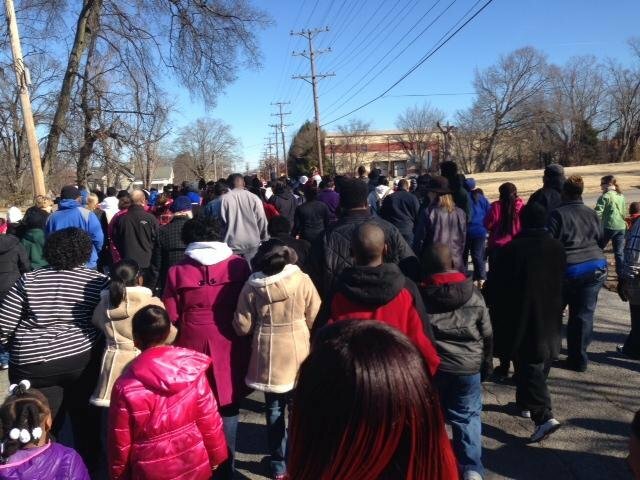 Participants gathered at the Boys and Girls Club to begin their march to honor Dr. King's legacy. Hundreds traveled to Virginia Street Baptist Church in celebration of lessons learned by Dr. King's example. It was a beautiful morning to reflect on the journey.